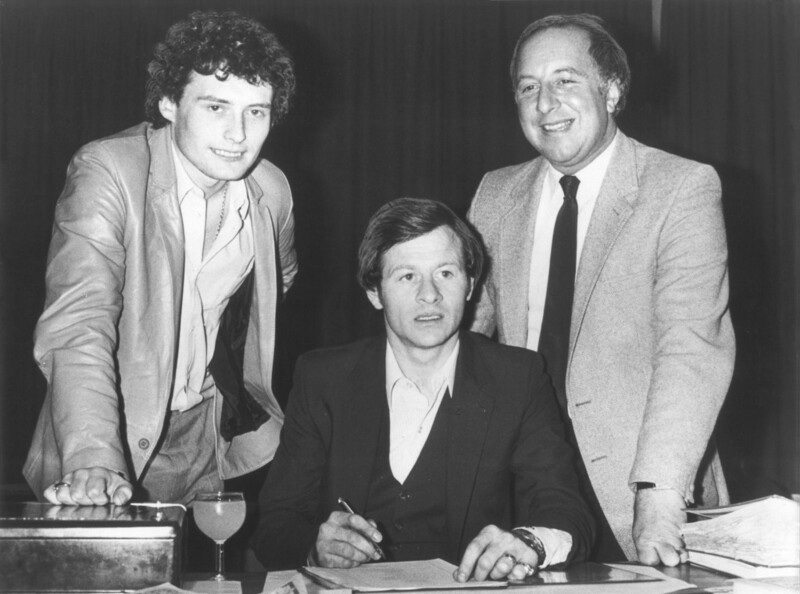 In the early 1980’s snooker-fever gripped the U.K. and Geoff Lomas, a Manchester-based snooker-hall owner who managed Alex Higgins approached me to co-manage Jimmy ‘Whirlwind’ White with him. The excerpts below are taken from Jimmy White‘s autobiography “Behind The White Ball” which is available at bookstores and online. Harvey was always interested in sport. Colour TV had made snooker an overnight sensation. There was something seductive about all those coloured balls and the green of the table – it was both relaxing and exciting; and people, it seemed, couldn’t get enough. Harvey said he had watched me at the table a few times and thought I was an exciting player, one of the hottest young hopefuls around. He thought it would be great to represent somebody like me who seemed to have the world at his fingertips. It was agreed that Harvey would handle the more artistic side – that is, my image, the media, the sponsorship deals and so on; while Geoff, as an owner of a snooker hall, would have a more ‘hands on’ approach to my schedule and organise my matches. Harvey’s personal favourite story, that to him sums up our relationship, relates to the time I played in a tournament in the Midlands. In those days, Harvey was quite a gambler himself, and when I got to the final against Ray Reardon, he decided to have a flutter, putting £400 on me to win at odds of 7-1 against. This was quite a substantial sum back then and these were long odds. ‘Well, you’re bang out of order, you are, betting on me, when you knew I could’ve lost,’ I told him. Harvey’s mouth dropped open with amazement at being told off by me when in his eyes I was the one who was out of order. The kindest thing Harvey did for me was after Kirk Stevens‘ magical 147 in the 1984 Benson & Hedges Masters at Wembley. Kirk looked like a Californian rock star that day in his all-white outfit, including shoes, quite a shock for the stuffy rules that said we had to wear black. Actually, he was wearing some black – the border to his white waistcoat. I don’t know how I kept a straight face when I found out he’d pinched a pair of trousers out of my wardrobe for the quarter-final against Steve Davis – and when they turned out lucky for him, he refused to give them back. But my pants aside, the flair and elegance with which Kirk potted those balls was mesmerising. I have seen video replays and I’m sitting there watching with a great goofy smile on my face. However, Harvey felt that the psychological aspects of that dragonfly dance of Kirk’s would knock me for six and drain my confidence. During the interval, when the cheers had died down, Harvey came to my corner very much like a manager does to a boxer between bouts and gave me a fatherly pep talk. ‘Forget the 147 – it was wonderful; but it was one of those flukes that happen once in a blue moon. You have to focus on winning,’ he said. Well, I don’t know if it was Harvey’s kind advice or not – but I went on to win that game; and, eventually, the tournament against Terry Griffiths, 9-5. The prize money was £35,000 and that was when it hit home – that you could make a living, and a very nice one too, from this game.